The NFL excels — between the combine, free agency, the draft, OTAs and minicamps — at keeping itself in the news year-round. The league all but shuts down, however, in the three to four weeks leading up to training camps, so besides the occasional police blotter item and Brett Favre speculation, what can we talk about? The supplemental draft, that’s what. So we take a stroll down supplemental Memory Lane, with both the good and the bad. The gifted Ohio State All-American was also at the center of the Norby Walters scandal, one of the most notorious pay-for-play NCAA episodes of the decade. The Eagles used only a mid-round pick to acquire a player who became one of the best young receivers in the league, before cocaine abuse cut his Philly career short. Once cleaned up, Carter jump-started his career again at Minnesota and retired in 2001 as one of only two receivers in history (at the time) with more than 1,000 catches. A confluence of unusual and fortunate circumstances — most notably, a bidding war with the USFL and the fact he was poised to graduate with two degrees after just two seasons playing at the University of Miami — allowed Kosar, an Ohio native, to enter the supplemental draft knowing he would play for his hometown Cleveland Browns. Kosar led the Browns to three AFC title games over his first five seasons, only to lose them all, including two infamous heartbreakers vs. Denver (“The Drive,” courtesy of John Elway, and “The Fumble,” courtesy of Earnest Byner). Coming out of Syracuse, he drew comparisons to another Orange great, Art Monk, and Moore did his part to deliver. In 10 seasons with the Jets and five with Arizona, Moore caught 628 passes and 48 touchdowns. Entered the supplemental draft after completing his military commitment for Navy. 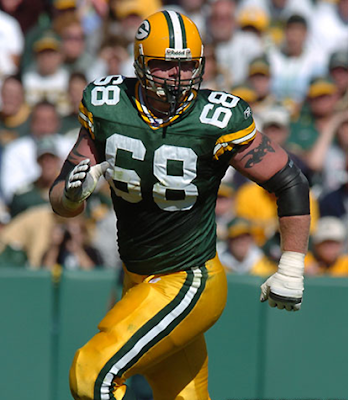 Though he started at the academy as a wide receiver, Wahle grew into an offensive lineman and eventually became part of the Packers wall that protected Favre during his prime. He later signed as a free agent with Carolina and helped the Panthers reach the Super Bowl. Wahle started 138 of the 152 games of his 11-year career that ended with Seattle in ’08. The only active player on our list, Williams came out of Oklahoma State and grew to become the quintessential space-eater in the Chargers’ 3-4 defense, three times being voted to the Pro Bowl and twice being named first-team All-Pro. Williams was released this offseason, but the Chargers aren’t finished with him. Williams signed with rival Denver, so he gets San Diego twice this season. Sure, like any skill, it can be trained, but the better question is can it be learned? That’s the tricky part, because Chiefs head coach Todd Haley has to wait and see. Being the example isn’t for the faint of heart, and when leaders are called only a few get going. The first fundamental is team. Even though the Kansas City Chiefs aren’t scheduled to practice again until training camp, team building is something Haley continues to preach. Playing as a unit is vital, but there’s a difference between getting the job done and excellence. Doing your job wins division titles, but excellence wins championships. The Chiefs aren’t looking for ordinary, and fans want more, but if they’re going to rise above it they need leaders. Vince Lombardi said having the capacity to lead is not enough, but the leader must be willing to use it. Haley sees potential, but he can’t say for sure. Taking hold of commitment will be up to the players. We all dream about being the hero until we understand what being the hero means. Character develops over time, but the pieces remain the same. Things like intellect, insight, character, and vision are the ingredients of leadership. I believe linebacker Mike Vrabel is that type of player for the Chiefs. In a room full of youth, Vrabel is performing this role. There are others like Ron Edwards, but Vrabel is the one most mentioned by his teammates. I’ll be honest – last season I wasn’t sold on Vrabel. I wasn’t sure about the move – his age, attitude and how he might feel about Kansas City. I was on the fence. I knew what sort of player he was with the New England Patriots, but I wasn’t sure how he felt about a team that was rebuilding. I didn’t see the value like Scott Pioli. If I had spent eight solid seasons with the Patriots and won three Super Bowls, how eager would I be to move, especially if it was to a team that hadn’t won a playoff game in 15 years? Knowing me, I’d be pouting the whole way. But with OTA’s and mini-camp, I saw a different side to Vrabel, a part that taught me something. I think fans need to understand the importance of having Vrabel. Initially the two players the media focused most on in OTA’s were Brian Waters and Vrabel. It was a big shock after several OTA’s that the two were still there, but by time mini-camp was finished, it was apparent Vrabel was into what the Chiefs are doing. I witnessed an older player who genuinely cared about the younger players succeeding and wanted them to learn how to win. Vrabel may not be on a team as victorious as the Patriots, but he’s around a general manager and coaches who know what it takes. Vrabel is turning 35 in August, so he may not see the full fruits of his labor, but I can tell he’s intent on leaving something positive behind. Hardly the player I thought struggled with moving to Kansas City. Instead Vrabel is someone younger players are ready to follow. John F. Kennedy once said leadership isn’t salesmanship. Vrabel isn’t a poster child for Pioli or Haley – he’s too smart for that – but he honestly sees what the Chiefs are doing. I know not every fan is sure about Vrabel and some might choose to give someone younger a chance, but it’s hard to replace the experience of playing for Romeo Crennel. We learned with Herman Edwards that a team full of youngsters is just a group of inexperienced players. There has to be ones in charge, players like Vrabel who can lead so others can follow. Not trying to leave anyone out, but this goes for Waters and Thomas Jones, too. There’s just a handful on this roster who fit the category. I want team, and the Chiefs need to be a team, but it’s not much good if you’ve lost the players to drive it. There’s only so much the coaches can do until the leader takes over. That’s been the missing link, but a gap the Chiefs know needs filled. The Patriots and other successful team didn’t win multiple rings because they didn’t invest in leadership. There’s a reason the Chiefs picked so many team captains in the draft – they’re stocking up on potential leaders. Having an old dog like Vrabel will help nurture that future and help grow players like Eric Berry. With OTA’s and mini-camp, I never got a chance to speak with Vrabel, but I heard plenty about him from the other players. Vrabel has meant a lot to them personally. In a way I did meet Vrabel, but not the guy I had pictured and one I’m glad the Chiefs have. Hold on, stay patient, because July 30 is just around the corner. 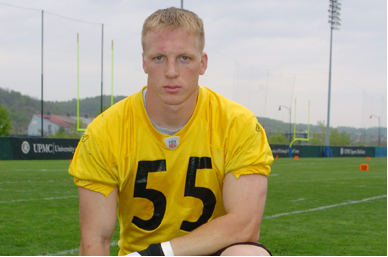 NEW HAMPTON (KWWL) Former Iowa Hawkeye football player and Pittsburgh Steeler Mike Humpal is once again hosting his Training with Humpal multi-sport youth camp. Boys and girls entering second through eighth grade are invited to attend this year's camp in New Hampton. The day features coaching from football players, wrestlers and volleyball players. This year's Training with Humpal is July 17 at New Hampton High School. If you register before July 10th, the cost is $50. All proceeds benefit local charities and help fund two scholarships. I had the pleasure of being around Packers Right Tackle Mark Tauscher the other day. The Auburndale native and former Badgers walk-on came down from a morning OTA practice to honor a committment he'd made to the good folks involved with the Wisconsin Lutheran Child and Family Service. It'd been a long day, but Tausch-along with teammates Corey Hall, John Kuhn and Josh Sitton--played a few holes of golf with those who gave their own time and money to the cause. The fellas signed autographs, took questions from the audience--and made a great impression. All four did the Packers proud; Tauscher told me that giving back is something that gives him satisfaction. Mark especially loves coming up beside kids through the reading initiative program tied into his Foundation. What impressed me was his complete understanding and appreciation of the tremendous good that he's been able to do--because of the power that the Packers name possesses. 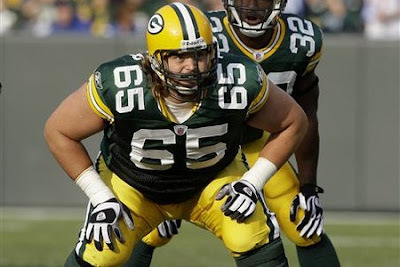 Mark Tauscher's Packers career appeared to be over after he suffered his 2nd serious knee injury during the last game of the '08 season. There wasn't much off-season activity for a veteran in his free agent year--coming off the injury. The big fella could have quit; he endured all the painful rehab for a chance to return-preferably with his hometown team-because he wanted to continue to be a part of what he felt was-and is-a special group of guys who work hard 12 months a year--for a shot at making it to the Super Bowl. Tauscher's return to the team in mid-stream last year stabilized an offensive line that threatened to put its franchise quarterback in traction! That was a great story; what's greater is that Mark Tauscher is a true role model-who continues to use his position to tackle countless great causes. When it comes to minicamp, it’s kind of tough keeping an eye on everything — you have to watch everything all at once, or focus on a specific position group. But when I looked at the offensive line at work over the last week of camp, it was hard not to see veteran Stephen Neal working with rookie John Wise on more than one occasion. 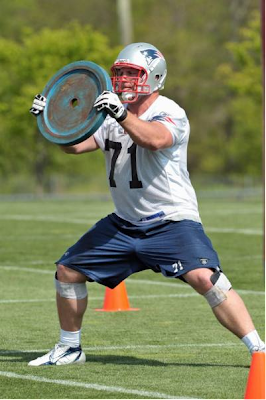 “He didn’t know how to put his pads on,” Belichick would say later. Wise isn’t quite starting from zero, according to Neal, who spent time with Wise after practice working on technique. If Wise has half the career that Neal has had, he should consider himself lucky. 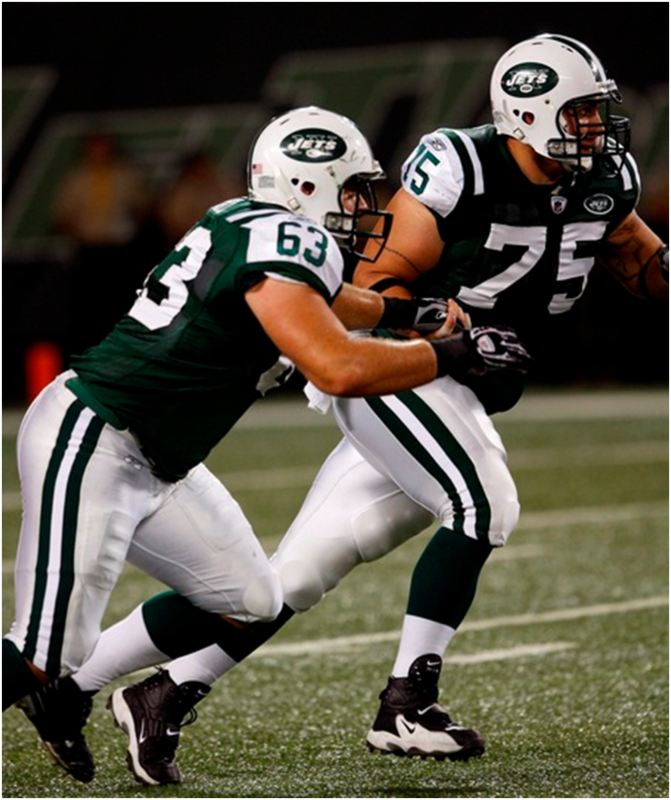 Neal has been in the league since 2001, and has gained a reputation as one of the toughest guards and best run blockers in the AFC. Wise is not only trying to pick up the game of football again, he’s trying to do it at a new position. In college, he was a defensive tackle. Now, he’s working with the New England offensive line. The page goes on to note that “virtually no professional sports teams have head coaches who are also players.” That’s true, and having assistant coaches who are also players is a rarity as well. The last time there was an official player-coach in the league was in 2003, when Broncos CB Jimmy Spencer both prepared and executed defensive game plans under head coach Mike Shanahan. Thirty two years before that, in 1971, former Broncos head coach Dan Reeves pulled doubled duty as a running back and an assistant coach for the Cowboys. 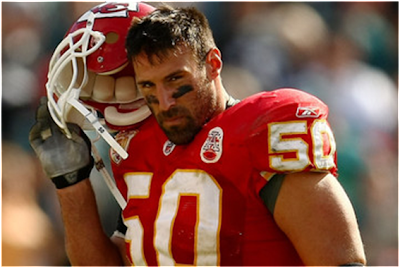 In 2010, Chiefs OLB Mike Vrabel doesn’t meet official qualification requirements to the join the list. Technically, he’s just a player. But in Vrabel’s case, technicalities should be thrown out the window. When it comes to coaching, all he’s missing is the title. Last season, just a few days before Cleveland visited town, Browns defensive coordinator Rob Ryan called Vrabel the smartest player that he’s ever coached. 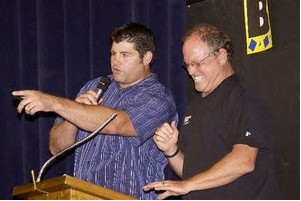 The two were together when Ryan served as Vrabel’s position coach from 2001-03 in New England. Others have insisted that Vrabel would make the perfect coach following his playing career, should he choose to take that route. On the Chiefs practice field, Vrabel is just trying to make his teammates better. 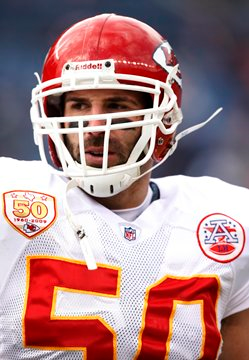 Vrabel has always been regarded across the NFL as a leader by example, but this off-season it looks like he’s becoming a much more vocal leader on the field for Kansas City. A few weeks ago, you might remember a note in this blog about Vrabel reminding DB Maurice Leggett to make a “China call,” signaling the actions of an outside receiver. 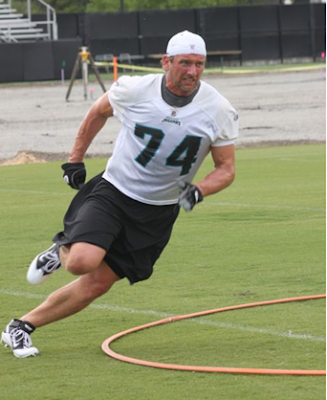 Instances like that have become quite frequent from Vrabel in and around OTA/mini-camp workouts. Earlier this week, he joined linebackers coach Gary Gibbs in helping to instruct Tamba Hali with his zone drops. 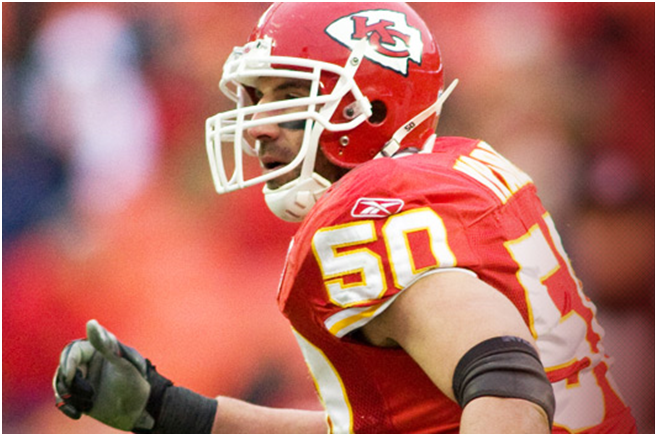 An unrestricted free agent to be, Vrabel agreed to a contract extension in Kansas City shortly before the gates of free agency opened. For most, another year of Vrabel pointed to increased mentoring for one of the Chiefs most promising developmental players – Andy Studebaker. In his first year playing the outside linebacker position, Studebaker saw limited action behind Vrabel. But when Vrabel suffered a mid-season knee injury, it became Studebaker’s time to shine…and shine he did with two INTs that led to scores vs. Pittsburgh. Before the game, exactly what we could expect was up to debate, but after Studebaker’s breakout showing his name was immediately thrust into the mix as a future defensive difference maker. The general assumption was that Studebaker was still raw and just needed a bit more fine-tuning from someone like Vrabel. The entire defense benefits from Vrabel’s wealth of experience over 13 NFL seasons and four Super Bowl appearances, but it’s Studebaker who is expected to be a primary beneficiary of the teachings. The promising youngster is in the same position meetings, film sessions and individual drills as the respected veteran. Ironically, if Vrabel performs the teaching aspect of his job perfectly, it could one day be Studebaker who replaces him on the field. On the surface, these types of relationships seem like they have the potential to get awkward. The whole idea of grooming someone to eventually take your job isn’t for everyone, but it’s what makes the best organizations the best (sport or non-sport). Time will tell if Studebaker will one day become an every-down player for the Chiefs defense. As his development continues to progress while playing behind Vrabel, others are reaping the benefits of Kansas City’s unofficial player-coach as well. When the Jaguars signed free agent defensive end Aaron Kampman to a four-year, $26 million contract, the price tag included the expectation that the former Green Bay Packer would become a leader in a locker room that needed a veteran presence. In just three months, and despite Kampman still recovering from a torn left anterior cruciate ligament injury (the Jaguars will likely limit him to once-a-day practices in training camp), he’s making a significant impression on teammates. Veteran defensive ends Reggie Hayward and Attiyah Ellison vouch for Kampman, saying he encourages teammates in a positive way and isn’t afraid to speak up in a civil tone if he sees something isn’t being done right. One Jaguar put it this way: “[Kampman] gets on people’s butts the right way.” This young team desperately craves a forceful leader, especially on defense. Kampman, 30, has the career resume and personality to fill that void. Running back Maurice Jones-Drew summed it up well, saying: “He’s had double-digit sacks every year in a 4-3 [defense]. That’s a reason to listen to him, isn’t it?" Chiefs S Eric Berry says things are going "a lot better" this week now that he has several weeks of NFL practices under his belt. Just as he did last week, Berry singled out Mike Vrabel (unprompted by reporters) as a teammate that's helping him immensely. "It definitely helps to have Mike Vrabel out there," Berry said. "He's out there talking and you get used to him saying things and you start learning it yourself in the fire so it's good to have him out there." BEREA, Ohio — There are two philosophies when it comes to player contract disputes in the NFL. One is to shut up and do your job and things will take care of themselves. The other is the squeaky wheel gets the grease. Josh Cribbs was the most recent example of the latter. The Browns are lucky that Phil Dawson abides by the former. If he voiced his case for a better contract, it would be hard to argue against him. As it is, kickers are largely dispensable and interchangeable, and players like Cribbs are rare. Dawson showed up for mandatory minicamp on Thursday and refused to discuss his widening rift with the club. Unlike absentee restricted free agents D'Qwell Jackson, Matt Roth and Abram Elam, Dawson is under contract and would be subject to a fine of about $9,000 a day for missing the three-day camp. Dawson -- the only full-time kicker the Browns have known since their expansion rebirth in 1999 -- is in the last year of a contract that pays him $1 million. It's a lot of money, of course, for kicking a football. But in the fantasy world of the NFL, Dawson is underpaid. At least 21 kickers are scheduled to make more in 2010. Dawson signed his deal as a five-year extension in 2005. That $7 million contract put him in the top tier at the time, but the parade has since passed him by. The top three kickers in base salary more than double Dawson's -- Pittsburgh's Jeff Reed and Seattle's Olindo Mare will receive the franchise tender of $2.814 million from their respective clubs, and Atlanta's Mike Koenen will get $2.731 million. Oakland's Sebastian Janikowski raised the bar for kickers this year when he signed a four-year deal for $16 million, including $9 million guaranteed, though his 2010 base salary will be "only" about $2 million. Dawson has been seeking to catch up for three years and it's been difficult navigating three different Browns regimes in that time. "I don't know how many regimes you've been through," a reporter said, prefacing a question. To which Dawson interjected, "I don't either." That's about as terse as Dawson got in disclosing his feelings on Tuesday. "Regardless of whether there's a new regime or not, you have to prove yourself again every year, especially at my position," he said. "There's only 32 of them and there's always somebody waiting for that phone to ring. "Whether you have a new coaching staff or new front office, you've got to prove yourself not only every year but I think every day. That's kind of been my mentality my whole career. That's why an undrafted kid that nobody expected much out of is standing here today." It's beyond debate that Dawson is the most productive free agent signed by the Browns since 1999. He has missed only nine games in 11 years. What Dawson may never be recognized for, however, is being the greatest kicker in franchise history. Lou Groza secured his place in the Pro Football Hall of Fame first as a left tackle. Advances in kicking have rendered Groza's 58.1 field-goal percentage painfully obsolete. But Dawson's phenomenal 83.3 career percentage also easily surpasses the numbers of the modern Browns soccer-stylists Matt Stover (80.6) and Matt Bahr (74.09). Groza's longevity (17 seasons) enabled him to set the franchise record with 234 field goals. Dawson, 35, entering his 12th season, will pass him with his sixth field goal in 2010. Dawson missed five games last year with a right calf injury and then had no attempts in three of his first four games back. But when the weather turned ugly in December and the Browns mounted that four-game winning streak that saved the jobs of the coaching staff, Dawson was money in the bank, making 10 of 11 field goals including no-gimmes from 42 and 47 yards. "I really like Phil," said coach Eric Mangini. "It's a tough environment to kick in. It's different than a dome when the elements are controlled. He's done a good job for a long time. "I remember the Snow Bowl [when Adam Vinatieri kicked field goals of 45 yards to tie and 23 yards to win an AFC divisional playoff game in a blizzard]. You're thinking, 'How did he do that?' I should have named one of my kids Adam. Phil, to be able to do that same type of thing in cold weather, it's hard. You appreciate that. He's a perfectionist. I'm excited to have him here at camp." Being with perennially mediocre teams robs Dawson of the national stage to audition as the league's best cold-weather kicker. His numerous memorable moments here include 12 game-winning kicks, not to mention the game-tying shot in Baltimore off the "Dawson bar" in 2007 and field goals of 35 and 49 yards in an 8-0 win against Buffalo that year in a December blizzard. "I feel good about what I've done," Dawson said. Even the one knock on Dawson -- the length of his kickoffs -- was shattered last season when the Browns were first in kickoff coverage, limiting opponents to a kickoff return average of 18.9 yards and an average drive start after kickoffs of the 31.4-yard line. "In this league, you get a label and it kind of sticks with you," Dawson said. Nobody expected him to boycott a mandatory team event or do anything to detract from the team. That's a label he also wears, with pride. 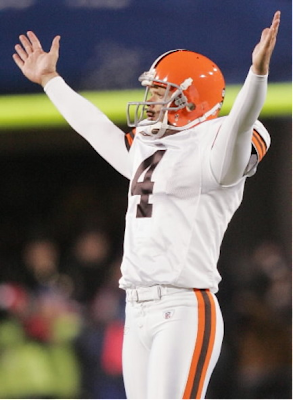 CLEVELAND - On Sunday morning, Browns punter Dave Zastudil returns to his high school, Bay Village, with kicker Phil Dawson for their first annual kicking camp. 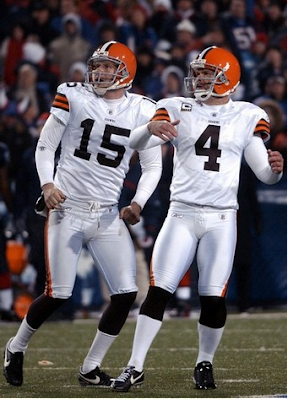 The Dave Zastudil and Phil Dawson Kicking Camp is a comprehensive day program offered to punters and kickers who are looking to tune up their game to the highest level. Zastudil and Dawson will personally develop an entire kicking program from the ground up, based on the theories and protocols utilized throughout their college and NFL careers.They will help with virtually every aspect of the kicking game including full mental training protocol, classroom work/video analysis, off-field technical evaluation, instruction, strategies, guidelines, nutrition and personal health. Cost for the “Kicking Camp” will be $100 per registration. Proceeds will benefit the “Rise Above It Foundation”. "Rise Above It Foundation" or RAI creates an immediate positive impact in the lives of adolescents and young adults affected by cancer. For more information on the camp log on to http://www.marsportsmarketing1.com for more information on RAI, http://www.raibenefit.org . Which assistants are ready to move up? At the College Football Roundtable each week, we ask members of the coverage staff for their opinions about a topic in the sport. We will have two questions this week, one today and one Sunday. TODAY'S QUESTION: Which current college assistant are you confident will have a head-coaching job next season at an FBS school? 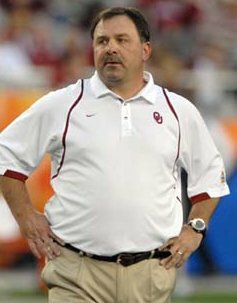 I think the time finally will come for Oklahoma offensive coordinator Kevin Wilson to score a head-coaching job. He has come close in the past, particularly when the Mississippi State job opened after the 2008 season. Wilson has proven to be an innovative mind who has built some of the nation's most prolific attacks during his run in Norman, which began in 2002. Wilson won the Frank Broyles Award as the nation's top assistant in 2008, when his offense set NCAA records by scoring at least 60 points in five consecutive games and 716 for the season. Before joining Bob Stoops, Wilson was the architect of some high-flying Northwestern offenses. The guy can coach, and his time will come. Helping fans connect with their favorite players. Caitlin Krawchuk dubs herself as “Katie Smith’s #1 fan” and it’s hard to argue with her. 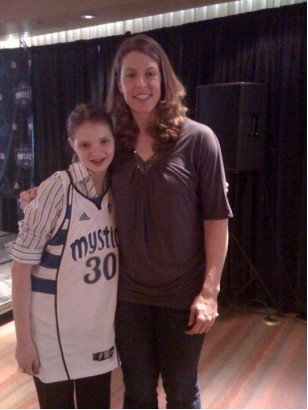 She has gone to WNBA games since she was ten years old, which is where she first learned to appreciate Smith’s game. Therefore, she was a big fan of the Detroit Shock, but, like many, was devastated to hear the franchise was relocating. She states that she had “a feeling” that Smith would join the Washington Mystics and was correct. When the opportunity came up, Caitlin was more than anxious to interview her favorite player and, personally, I think she did a great job. Caitlin Krawchuk: Had you ever expected to become a WNBA player? If not, what did you want to be? Katie Smith: I never expected to because growing up there was no WNBA. It didn’t start until, I guess the idea and everything was floating around, my junior year of college and came into fruition basically after my senior year. So I never thought I’d be doing this as an occupation. If I was not a basketball player, I’d be a dentist at this time. I probably would have gone to dental school. Q: What were your initial reactions when you found out the Detroit Shock were relocating? A: It hurt. It was really a sad time. It was a sad time for us, obviously as teammates and staff and the camaraderie we had. It was a really a close group and the organization and the fans. It was really kind of a tough thing. Shock is the big thing. It didn’t set in right away because you’re still kind of there. I was there doing rehab and still around. It felt like it was just the off-season, but then you finally realize this group is never going to be together. It was definitely a sad time and we miss it. I miss my people there. I miss my teammates and everybody. Everything changes but you definitely miss it. Q: Congratulations on playing for the Mystics now. Why did you decide to play for them instead of going to Tulsa? A: Tulsa, I’m excited about them having a franchise. But for me as a player, it probably wasn’t a place where I would have wanted to finish my career. A majority of our team is not even there anymore, staff-wise, everything kind of changed. Going to Tulsa wasn’t like you just move the Detroit Shock, a lot of things did change. For me, I wanted to go some place where I knew the coaching staff well, I knew the players, and it’s close to home. D.C. has a lot of stuff that I really like. The teammates and coaches are all about giving me a chance to win and I’m really excited about that and having a great time. Q: I know Coach Plank is excited to now have you on her team, because you two go way back! What has it been like getting to see her now everyday and train with her? A: Obviously, we’ve had a friendship for a long time. She recruited me back when I was in high school. It started more as coach/player and ended up being more of a friendship especially with Ohio State. She’s a huge Buckeye and so am I and her family. It’s a lot of fun. The communication is easy. She wants to win and she works as hard as anybody. So, so far so good and we hope to do our part and make her life easy. Q: What is it like to be able to play with the best players in the world? A: It’s awesome. You work so hard to be at this level and play the game and to play it well. We have a chance to play with and against great talent all around the world and in our own country. It’s phenomenal and you get to test your skills. You get to see where you rank and try to find ways to win ball games, and see where you stand. As competitors that’s all you ever want is to play against the best and see what you can do. Q: Is there anyone in particular that you look forward to guarding and are always anxious and excited to play against? Q: What has been your favorite and least favorite moment while in the WNBA? A: My favorite moment would definitely be winning championships in Detroit and spending my time there. My least favorite moment would probably be when the team was relocated but also when I was traded from Minnesota. Little did I know at that time that it would be the best thing for my career and that I would have so much fun and love it. But at the time it was hard. It was hard to leave the people I was there with for six and a half seasons. I guess that would probably be the two things that were bummers in my career. Q: What advice can you give to someone who wants to have a career in the WNBA whether it is playing, or being involved with the sports and marketing aspect? A: Try to get your foot in the door somewhere whether it’s internships or meeting people or volunteering. Any way you can to put your name out there and your face out there. On top of that, keep working hard. As a basketball player, it’s just establishing yourself and proving yourself as a player. It’s all about hard work. You have to have fun with it, but you have to put in the work to make sure you’re at that level. Q: Anything else to say to your fans? A: I love them. Fans are everywhere. I have fans in Minnesota who I love still that I’ve spent a lot of seasons with, the ones in Detroit. Now with Washington, I’m getting some fans here. It’s like I’ve built a big pool of fans for myself. The loyalty that they have and the support they show us every time with every team is just a blast. I hope they’ve enjoyed what we do and what I do, because we sure love it when they come out and watch us play. I attended the Chiefs rookie minicamp a few weeks back -- it was the first practice I'd ever been to -- and I noticed how much of the conversation you could hear on the field. The players were talking to each other, the coaches were chiming in and all kinds of stuff about who's in position, who's not and so on. During games, you don't see that all that...but it's there. Mike Vrabel is someone Chiefs players have publicly declared as a leader of the defense and the team as a whole. 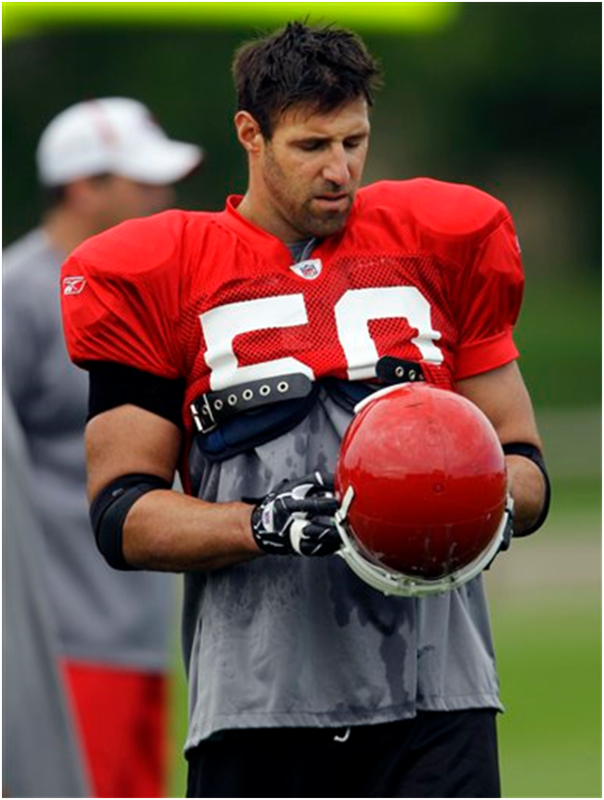 Bob Gretz of BobGretz.com writes this morning that there's "no way to discount the value" of Vrabel's appearance at all of the Chiefs OTAs -- something he did not do last year. "It’s not just his 13 seasons in the league and history of productive play for a Super Bowl champion," Gretz writes. "It’s that Vrabel knows the Romeo Crennel defense forwards, backwards and sideways. 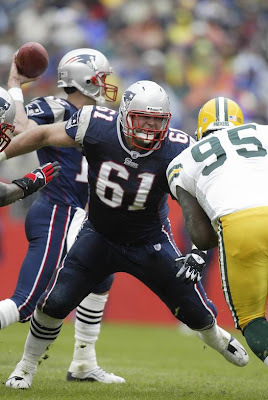 It is exactly the scheme that Crennel ran with the Patriots and Vrabel was part of the unit." Most of the Chiefs went through their "Welcome to the 3-4" moments last season when the initial switch was made. But this season is about perfecting the switch and that's where Vrabel comes in. Crennel isn't an in-your-face type of coach like Charlie Weis so I think it's good that there is someone like Vrabel on the field talking to everyone. Sometimes having one of your peers instructing you can be more valuable than a teacher. This is a good sign for the Chiefs moving forward. It sounds as if Vrabel's presence is giving them an even bigger jump on the season compared to last. In our ongoing series it is time to consider the "big uglies" who protect the quarterback and make the running game go. Remember, with each position, we are rating the players based on their college performance, not what they accomplished in the NFL. 10. 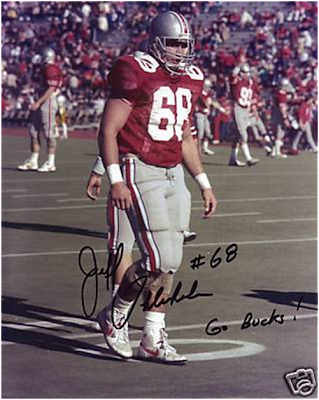 Jeff Uhlenhake - A four-year starter he moved from guard to center and became an All-American. 9. Rob Murphy - This physical guard was a two-time All-American, but decided to forego his senior season, declaring early for the NFL, which was probably a mistake. 8. Chris Ward - Another two-time All-American, this tackle was praised by Woody for his excellent work ethic. 7. Warren Amling - I doubt anyone reading this actually saw Warren play, but those who did might say we are ranking him too low. He was an All-American as both a guard and a tackle, and actually finished seventh in the Heisman voting in 1945. 6. LeCharles Bentley - As good of a center as I've ever seen play, Bentley has gone on to excell on Sundays as well. 5. Jim Lachey - As great as he was in college, Lachey seemed to only improve once he made it to the NFL. He was big, physical, and fundamentally sound. 4. Korey Stringer - This mammoth tackle worked his way into the starting lineup as a true freshmen and made it look easy. His success continued in the NFL until his untimely death. 3. Jim Parker - Although he played both ways in the 50s, Parker is best remembered as an amazing offensive guard who went on to post a magnificent career with the Baltimore Colts. 2. John Hicks - This road grader opened holes for Archie Griffin and wound up winning the Outland Trophy and Lombardi Award, and was actually the runner-up for the Heisman in 1973. 1. Orlando Pace - With a combination of size, strength, and speed, Pace defines the term "super freak," and started from day one of his freshmen season. I am 6'2", 190 lbs, but when I stood next to him I felt like a grasshopper. Not only did he make the term "pancake" popular, Pace won the Outland once and the Lombardi twice, as well as finishing fourth in the voting for the Heisman. In February, California State University, Bakersfield announced the elimination of four intercollegiate sports, including men's wrestling. Saturday night, those sports put on a fundraising event that generated between $110,000 and $120,000, according to event sponsor estimates published in the Bakersfield Californian. More than 400 attended the event at the Jam Events Center, which was organized to raise some of the money needed to save the four CSUB sports that have been earmarked for elimination by university President Horace Mitchell: wrestling, men's and women's golf and women's tennis. On Saturday, fundraiser event organizations reported that a live auction generated $76,900. Another $3,354 was raised from a raffle and $13,683 from a silent auction. According to new wrestling coach Mike Mendoza, about $1 million has been raised to date. Earlier this year, CSUB president Mitchell had said the endangered sports could be kept if $1.4 million could be raised to support the four programs for two years. At the time, a deadline of May 21 was set for a final decision. From Rich Cimini's "Slauson provides inspiration"
A Real Sleeper. An unheralded player creating some buzz on defense is first-year DT Matt Kroul (6-3, 280), who spent last season on the practice squad. Coordinator Mike Pettine praised Kroul, all but handing him a roster spot. Said Pettine: "He's a viable part of what we're doing this year." Kroul will get a great opportunity in training camp because the coaches plan to limit Kris Jenkins' reps. Jenkins is coming off major knee surgery.